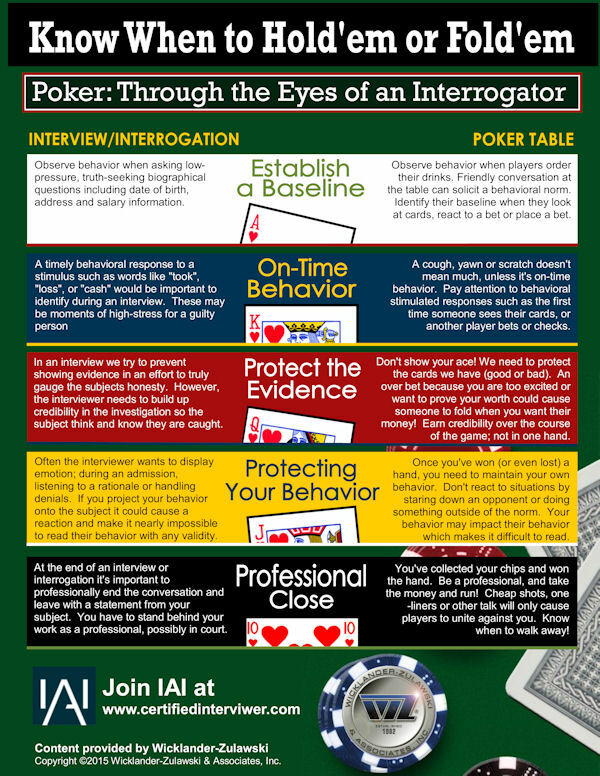 CHICAGO, April 29, 2015 – The International Association of Interviewers (IAI) teaches interviewers how to win at poker with a free infographic at this year’s Retail Asset Protection conference, May 3-6, hosted by the Retail Industry Leaders Association (RILA). IAI has teamed up with valuable partners at the RILA conference in Orlando to help its members achieve professional success. “Dynamic industry leaders form an elite group that currently participate in our sponsorship program,” says IAI Executive Director Wayne Hoover, CFI.